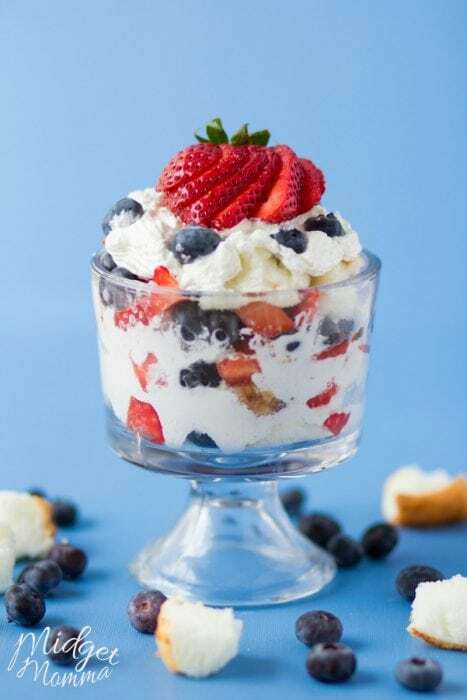 4th of July is almost here and that means we need some tasty Red White & Blue Dessert Recipes to go along with the celebrations! I love making fun Red White & Blue Dessert Recipes for the 4th of July. They always look so pretty! 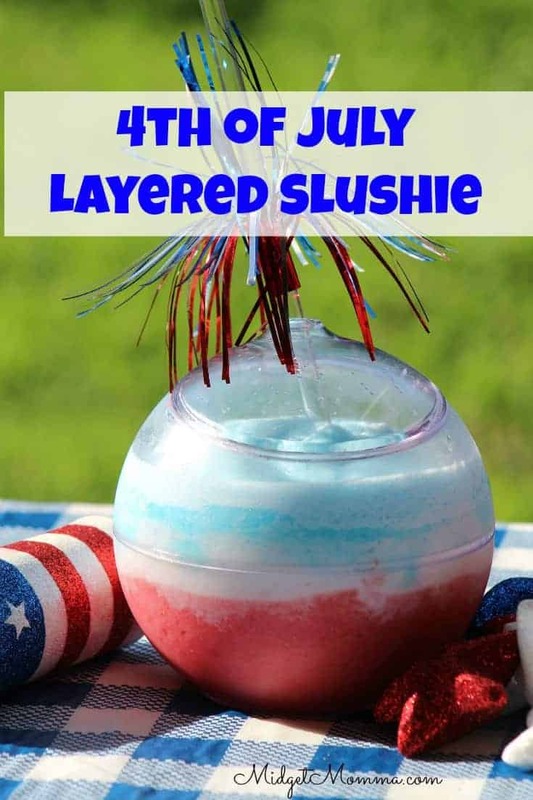 4th of July Layered Slushie. This is a super tasty, fruity drink that everyone will love. Plus you can’t beat the beauty of the Red White and Blue colors layered in the drink. 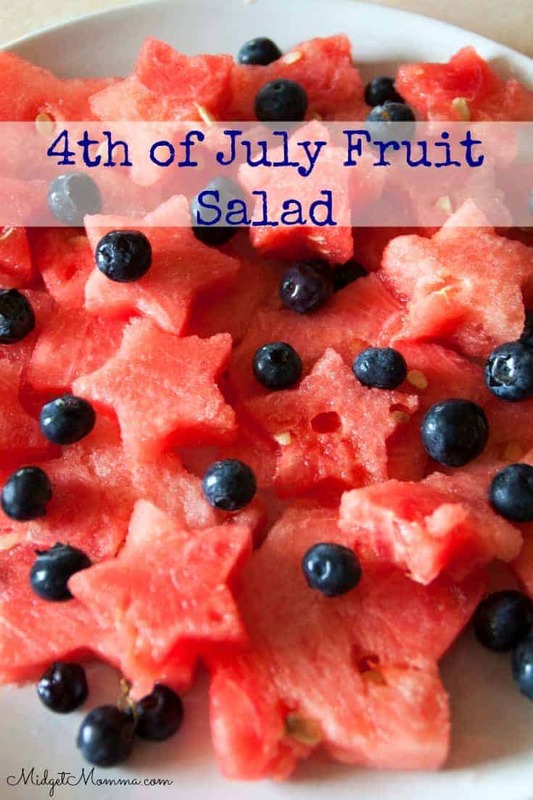 4th of July Fruit Salad. This strawberry blueberry fruit salad is perfect for the 4th of July. Put it in a white bowl to serve and the colors will pop of the fresh tasty fruit! 4th of july Banana Pops. 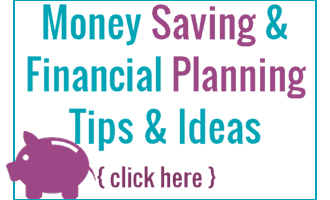 A healthier but tasty dessert is perfect with these yogurt covered banana pops. Easy to make and if you are wanting something healthy but tasty for dessert this is the perfect dessert to make! 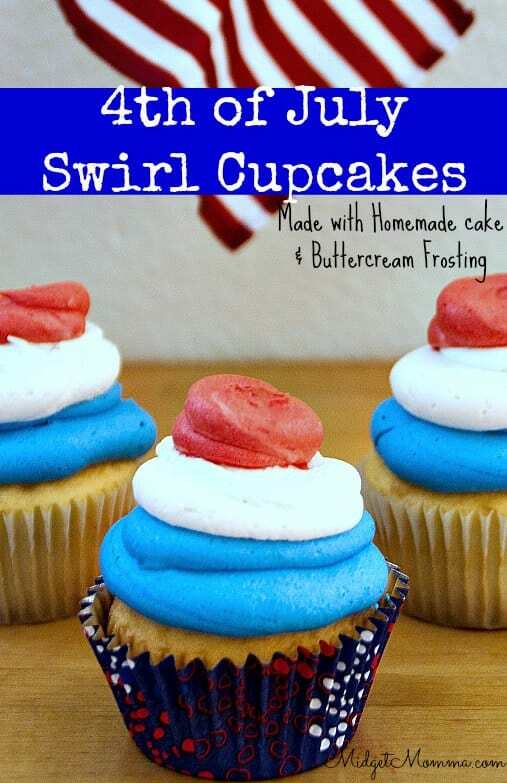 4th of July Swirl Cupcakes. You can never go wrong with cupcakes. These 4th of July cupcakes are made with homemade cupcakes and the best buttercream frosting you will ever have! 4th Of July Fruit Ice Box Cake. 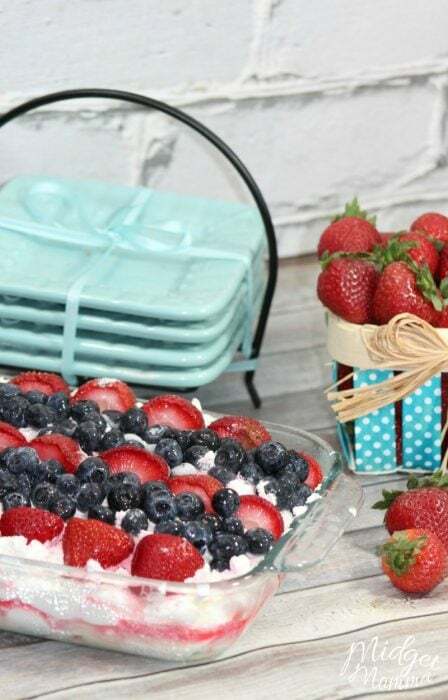 This super easy 4th of July dessert is a no bake 4th of July dessert everyone will love. It is super quick to put together and you can bring this to a party or BBQ and everyone will love you for it! Strawberry Blueberry Trifle. This quick and easy 4th of July dessert recipe can be thrown together in just minutes and everyone will enjoy it. Fresh blueberries, fresh strawberries, whipped cream and angel food cake! Yum! 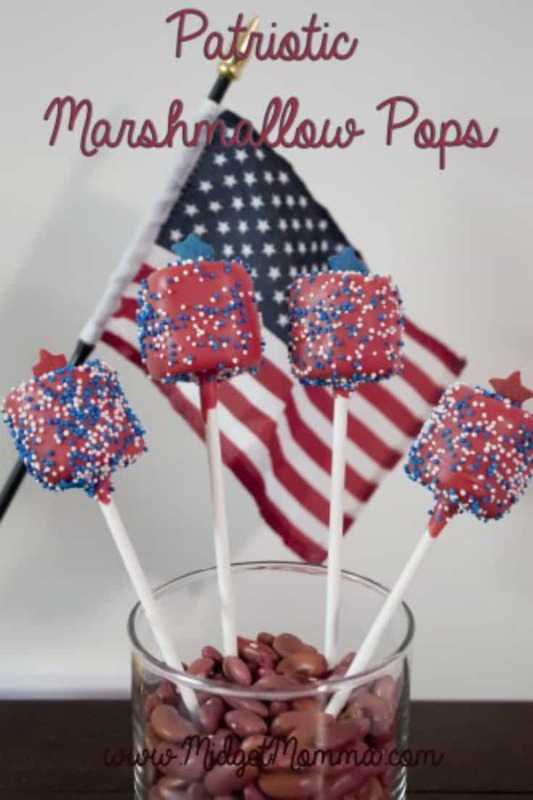 Patriotic Marshmallow Pops. 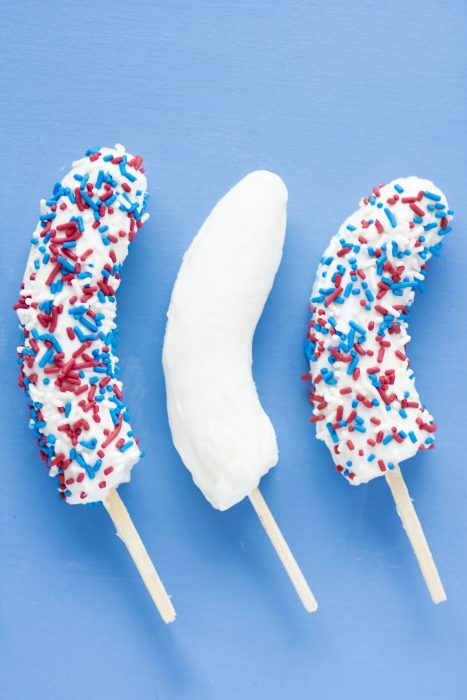 On the go desserts are perfect for kids, we all know they can’t sit still long when they are having fun, so these 4th of July Marshmallow pops are perfect! Red White and Blue Oreos. The combination of chocolate and oreo is always a hit. 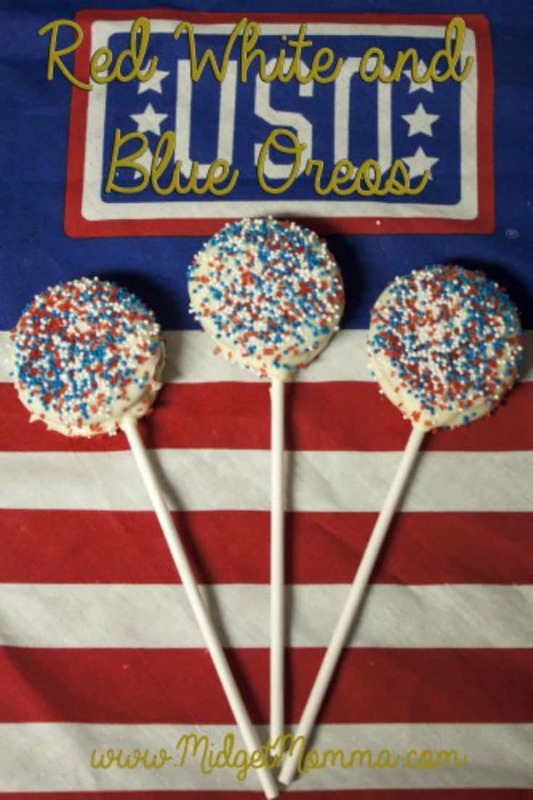 Make some fancy chocolate covered oreo pops that are fun and patriotic that are sure to be a hit! Patriotic Homemade M&M Cookies. Cookies are always an easy dessert for a BBQ, no extra plates needed and everyone can grab and go. 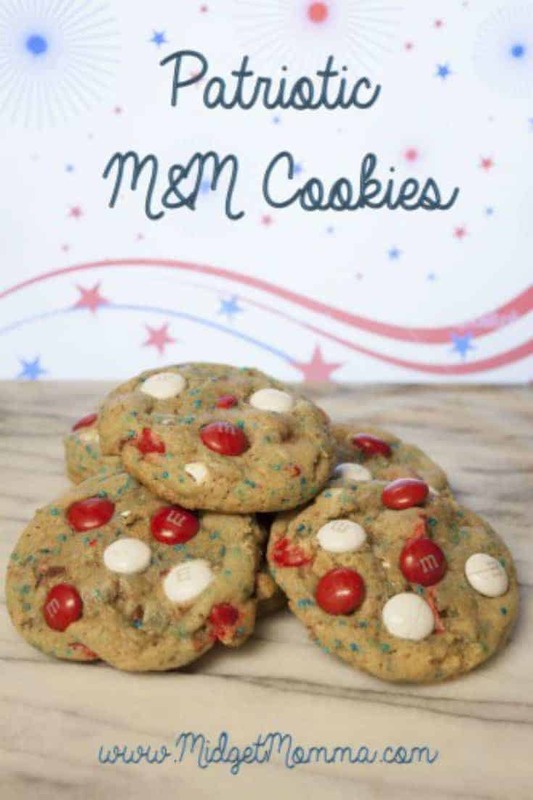 These homemade M&M cookies have white and red M&M’s to make them a patriotic dessert. 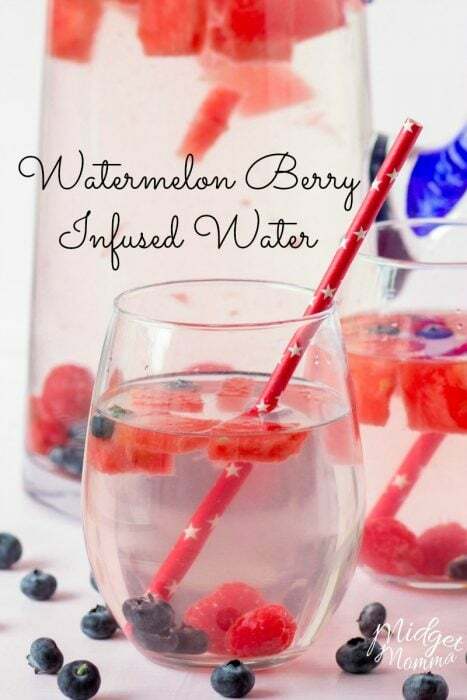 Red White and Blueberry Water. You gotta have drinks for a party, and while not a dessert item, I added it to the 4th of July dessert list because it is always a hit when I make it. Looking for more tasty goodness? Check these out!